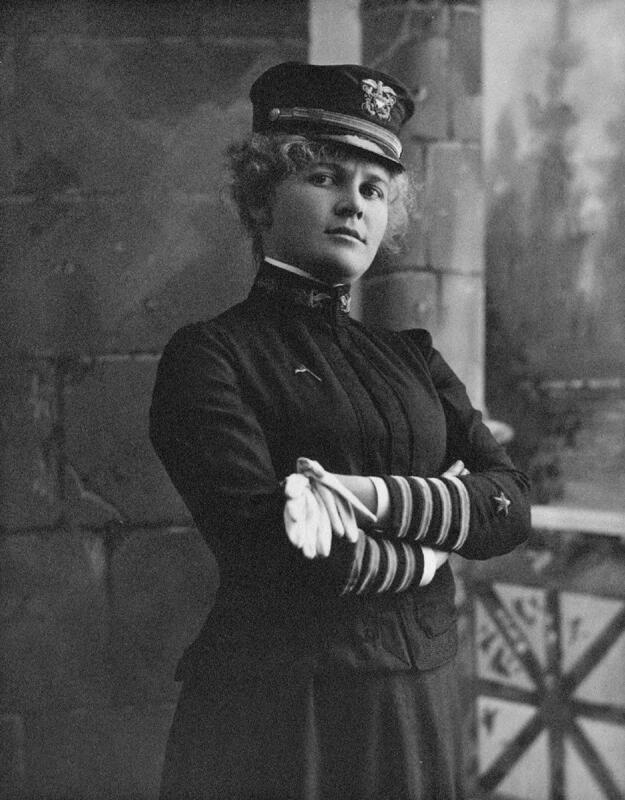 Black and white digital copy of a photograph of Commodore Lena Polhamus c.1902, one of the four founders of ZLAC Rowing Club, the 'L' of the acronym ZLAC. Saved on a green/white striped CD labelled 'ZLAC Rowing Club' on which is printed Point Loma Camera, 1310 Rosecrans Street, San Diego, CA 92106 (619) 224-2719. The CD is in a white paper window sleeve with a print of thumbnails of the pictures on the disc.